This post is inspired by a recent question I was asked by Rory Walker (@redrory) via twitter, about how I made the transition from a full-time job (Research & Development Analyst at Guardian Life Ltd.) to working full-time in my own company (Balcostics Ltd.). Clear major debt –after finishing UWI, as with most graduates these days, I had my Student Loan to repay. Repaying this debt was my highest priority; since certain types of debt limit your ability to take risk (even when great opportunities present themselves). Thus, once I got hired most of my income went to debt repayment. Working part-time on the business, while working full-time day job – My day job covered monthly expenses (food, rent etc.) which provided the opportunity to invest & re-invest most income earned from Balcostics back into the company. Start branding and building relationships with potential customers – these days, it’s very easy to get the word out about your business, with continuous access to social media and low cost web development. Initially, we started investing lots of time and fair amount of money to build a website and develop social media presence. Again, testing our ideas to see if a company (any company) would exchange their cash for the value we were offering (Research outsourcing). Remember, you don’t have a business until you have a paying customer! Get your first customer and learn all you can from them (collect feedback & do your research). Too much to handle, time to go! My final decision to leave Guardian Life came when I started having problems balancing full-time work responsibilities with part-time, start-up opportunities. I was frequently doing 16 hour days and as young and energetic as I am, this lifestyle is not sustainable! In addition, Balcostics was starting to get some press attention and we didn’t want any conflict of interest issues once the company went public (in terms of exposure). Work for the experience – If your ultimate goal in life is to own a restaurant business, then get a full-time or part-time job in a restaurant (whether you have a UWI degree in law or economics). The best way to learn is by doing! Be thankful & appreciative of those who gave a helping hand – I’m extremely thankful for the opportunity Guardian Life gave me and I was blessed to have a manager who played a significant role in my personal & professional growth. Managing my own business & people, I now fully understand all the troubles she had with me :-). Since going full-time with Balcostics, throughout all the ups and downs, business continues to get better. We’re now in our 2nd official year as an operating company, and I’m thankful to all our customers, friends, families and colleague who continue to show their support in various ways. 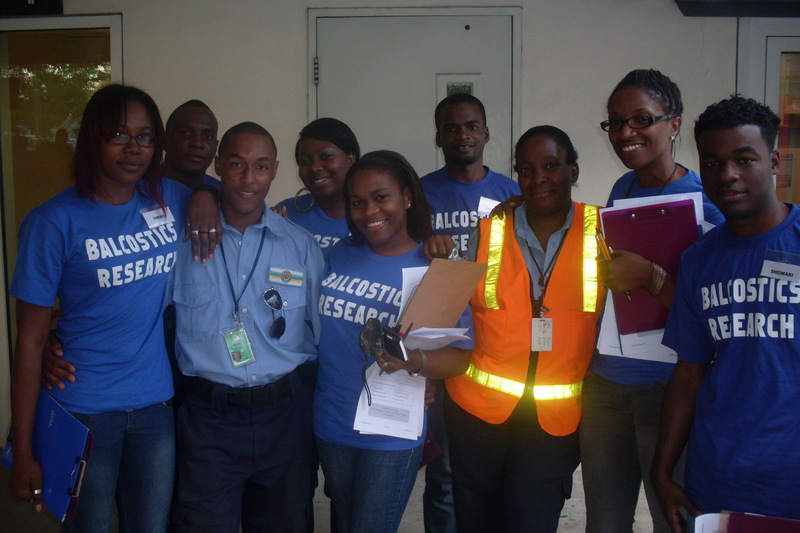 It was Sir Richard who said “Screw it, Let’s do it!” and this was certainly our theme at Balcostics for 2013 as the company experienced many successes and stayed focus to our mission of empowering leaders (from all walks of life) to use information for better decision making. Our client base continues to grow both locally and internationally as we push to become a global brand for research outsourcing, data analysis, data visualization/ presentation, data gathering and surveys. See list with portfolio of major clients to date. With a growing team of young, tech-savvy Analysts, Researchers, Project Managers and Interviewers, we have built a family passionate about research and providing value for money. 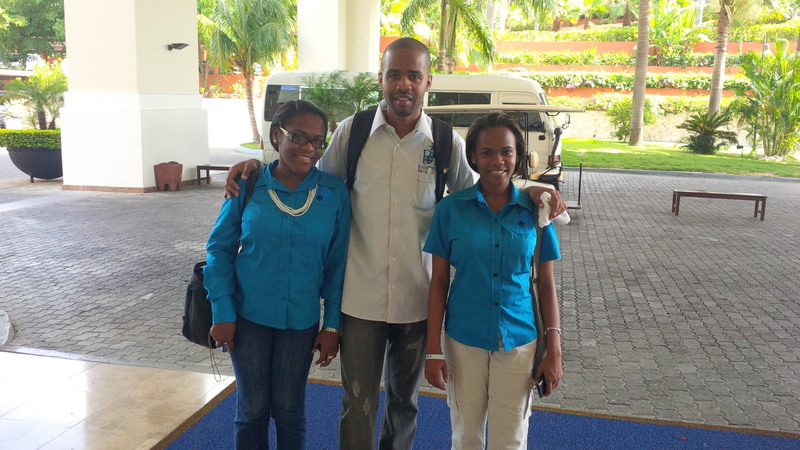 We spent 2013 across the island visiting malls, tourist attraction areas and even in the hills of a few rural districts. 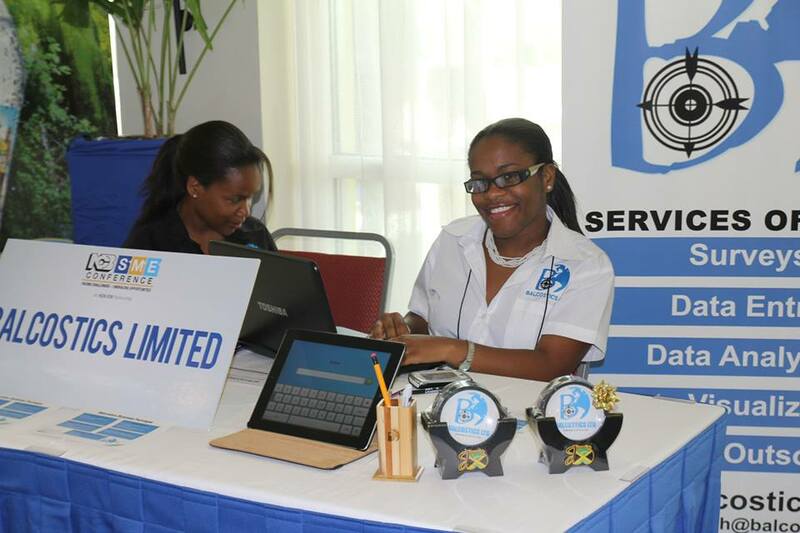 On August 16, 2013 we opened our head office in Mandeville (Unit #7, Q-Villa Plaza, 5-7 Villa Road). This was truly a special occasion for us, as we also celebrated our second year in business. 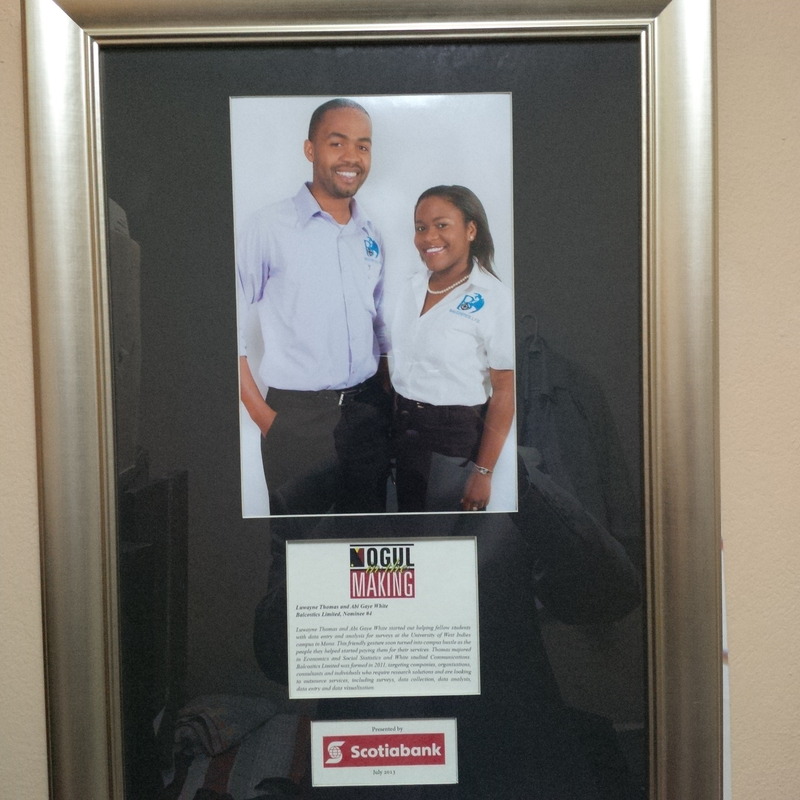 Balcostics Limited was nominated in the Jamaica Observer’s Mogul in the Making programme 2013. This awards ceremony was held on July 10. 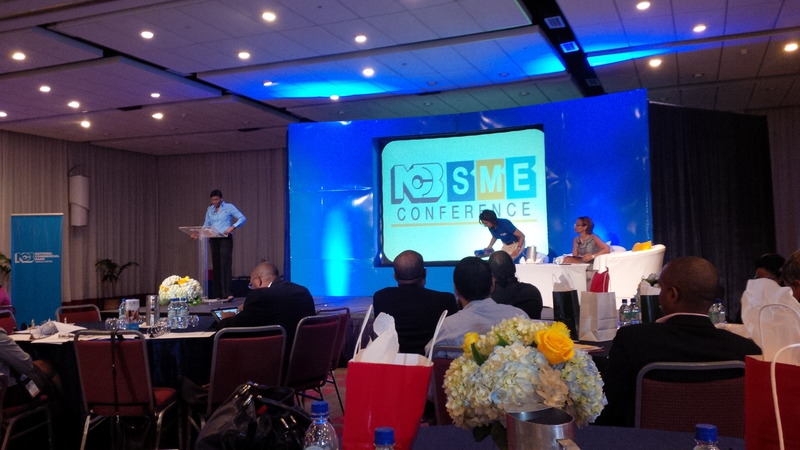 We were elated to be told that “Balcostics is INVESTMENT READY” when we participated in this Conference as the only Caribbean-based company. This was organized by the MIF in collaboration with NXTPLabs and Ellas. WeXchange was an event for entrepreneurs, investors and professionals seed capital and angel investors to exchange ideas, explore opportunities and strengthen ties in the region. 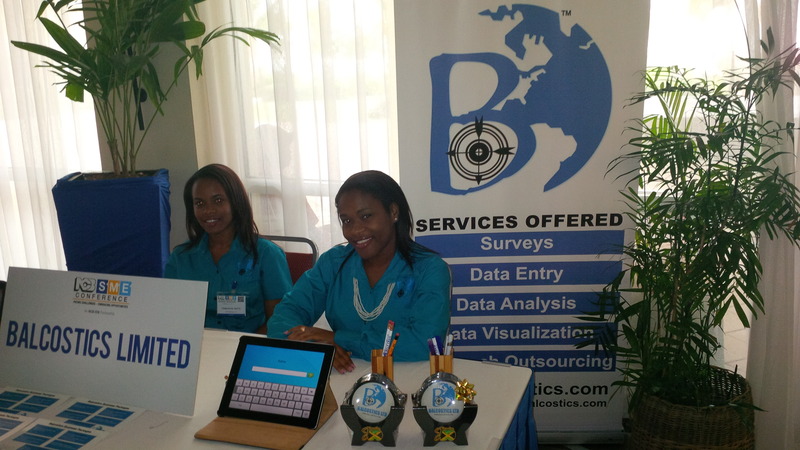 Balcostics Ltd in partnership with the Private Sector Organization of Jamaica (PSOJ) conducted a survey of Jamaican SMEs who were in attendance at the recently held “NCB/ IDB SME Conference” sponsored by the National Commercial Bank of Jamaica (NCB), and the Inter-American Development Bank (IDB). 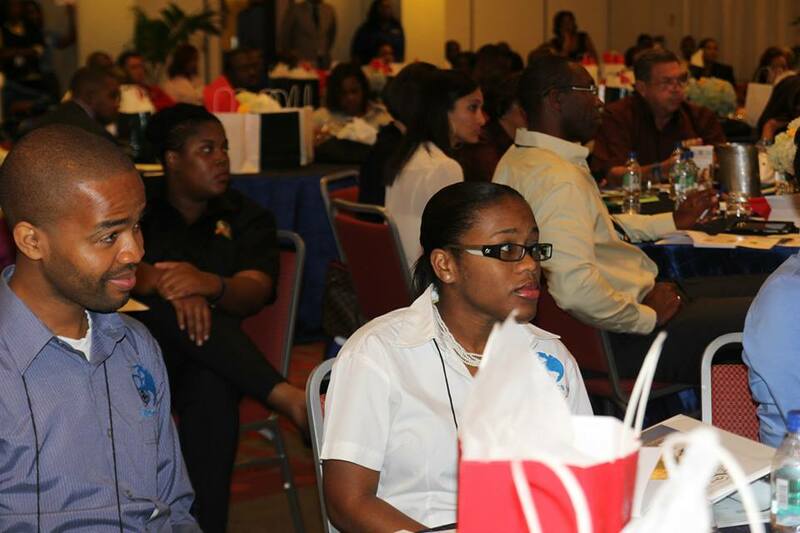 The conference was held over a three day weekend (June 21st -23rd,2013), at the Hilton Resort and Spa in Montego Bay. 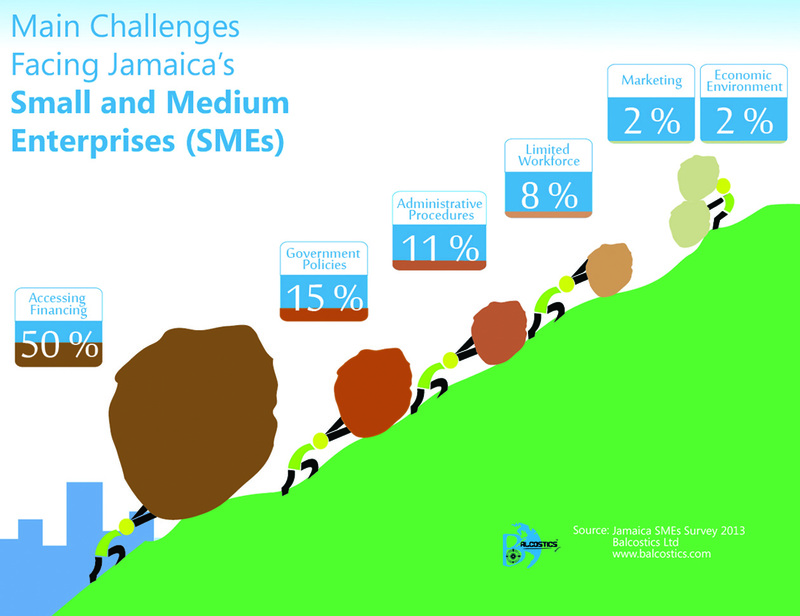 What are the main challenges facing SMEs? 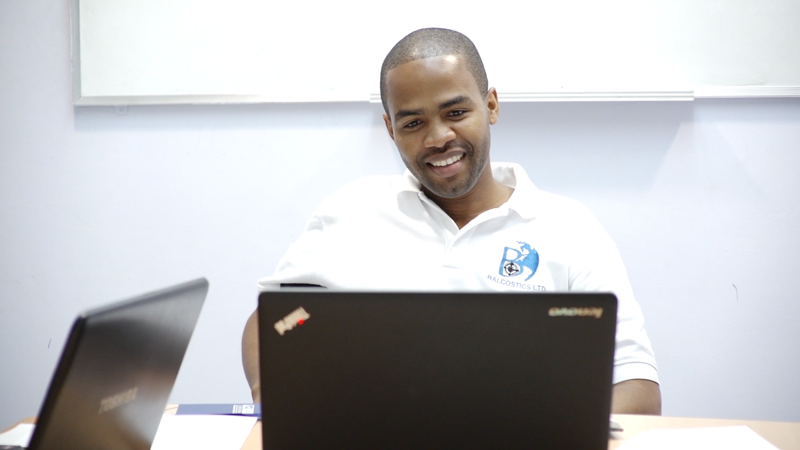 What are the main reasons persons’ choose entrepreneurship? What type of social media, if any, are entrepreneurs using in their businesses? 1. Syndicated/secondary research: This would be research conducted on/for a particular market that provides market sizing information, penetration data, trending data, etc. Search for published findings at trade organization sites, investment sites, etc. The challenge is finding a study that is relevant to your specific needs, and many charge a fee for a published report. 2. Custom quantitative: If you want quantitative data or feedback on a very specific subject related to your product (e.g., behaviors, attitudes, product concept testing), consider doing your own survey. The challenge here is making sure your sample is “representative” of the market you want to study, your survey is designed well (e.g., no leading questions, appropriate scales), you process and report data accurately. There are great, affordable survey programming/hosting tools out there (e.g, SurveyMonkey), but you need to pay for sample, survey design and possibly analysis depending on your needs. 3. Custom qualitative: This might be user testing, ethnography, interviews, blind-shopper stuides, focus groups (either online or offline). People put a lot more weight on quantitative data (because it is statistically reliable), but I am a huge advocate of qualitative research for deeper, richer insights. Don’t discount it just because the sample size is small. The question you need to consider here is: Which approach/method is best for what I want to learn/problem I want to solve? Each of the types of qualitative research I listed above is better for different needs. Check out all the answers to the above question on Quora. Many Jamaican entrepreneurs (or entrepreneurs to be) have asked/ or is still asking themselves’ the above question – is market research needed for my new idea? We’ve found some external insights on the topic, which we hope will provide additional clarity. Most of the mistakes I’ve seen businesses of any size make have been due to the thinking they know the market place rather than taking the time to actually find out. For the past 15 years, I’ve been advising clients in the nonprofit and start up world. What I love about them is their eagerness to get going, get their product or service into the hands of their market, and see their dreams come true. The challenge comes when I ask them questions about their market and they can’t answer them. They know all about them, and nothing about their consumers. They expect to put their product out there, do “marketing,” and make millions. I eventually created a workshop called “No One Cares About You.” where I explained that deep down, consumers don’t really care about you. They care about how you’re going to solve their problem/need/want/desire/etc. And that’s what market research tells you how to do. I disagree with what Shashank PS says about a completely new product being unlikely benefited from market research. This is where research will benefit you the most – Who exactly is your market? Does the market even want your product/service? Does it fill a need they have? If they don’t know they need it, how can you convince them they do? What channels do they like to be reached on. How much would they be willing to pay? The questions are endless. 1) Market research can hugely beneficial – not unlike learning about the structure of the face and effects of physics. Market interactions are like getting punched in the mouth 1st hand. Imho, you learn more from the 1st and know more from the 2nd. 2) I had no idea I wanted 1k songs in my pocket until I heard Steve Jobs tell me I could have it. Similarly, I might have scoffed at the idea/concept of Twitter in a conference room. But after week 1 using it, I was hooked. Is there a methodology for collecting and analyzing big data? “I am inclined to say the approach is definitely systematic, but there are lots of options and one needs to figure out what is the best implementation for their specific use case. There are various distributed data collection and aggregation frameworks like Flume, Chukwa and Scribe which can be leveraged efficiently to collect and aggregrate data in real-time from lots of servers. If one has the data in some form sitting in RDBMS, they can use sqoop to transfer data between RDBMS and to a big-data framework like Hadoop(meant HDFS). Feel free to leave a comment and add your views in the comments section. Special thanks to Jahangir Mohammed and Vijay Kamath who both took time out to provide answers to our question.